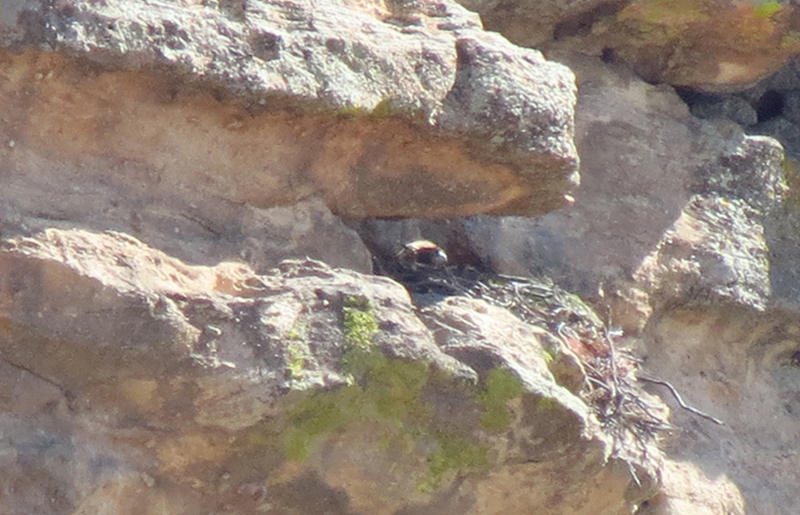 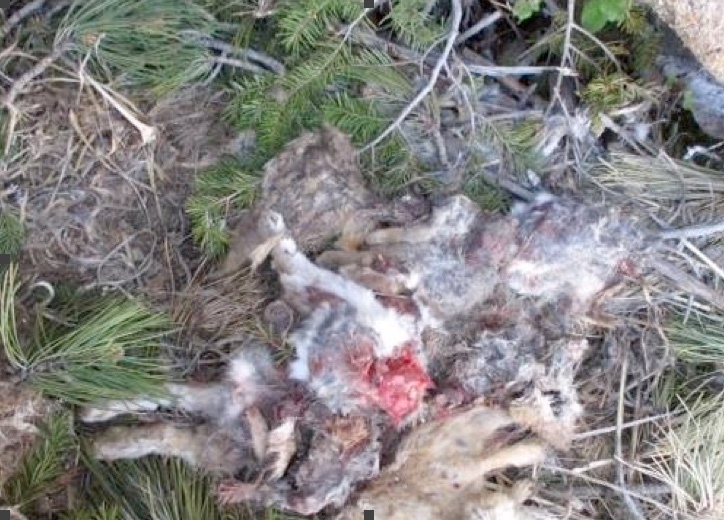 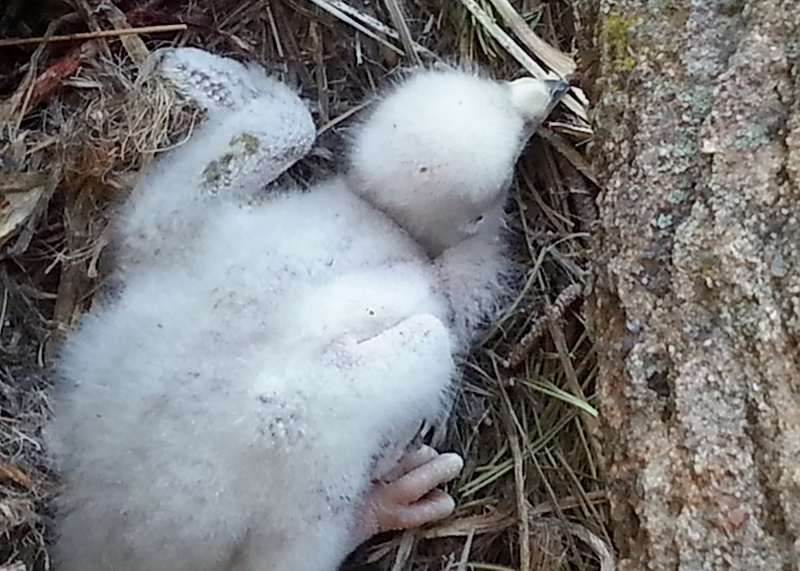 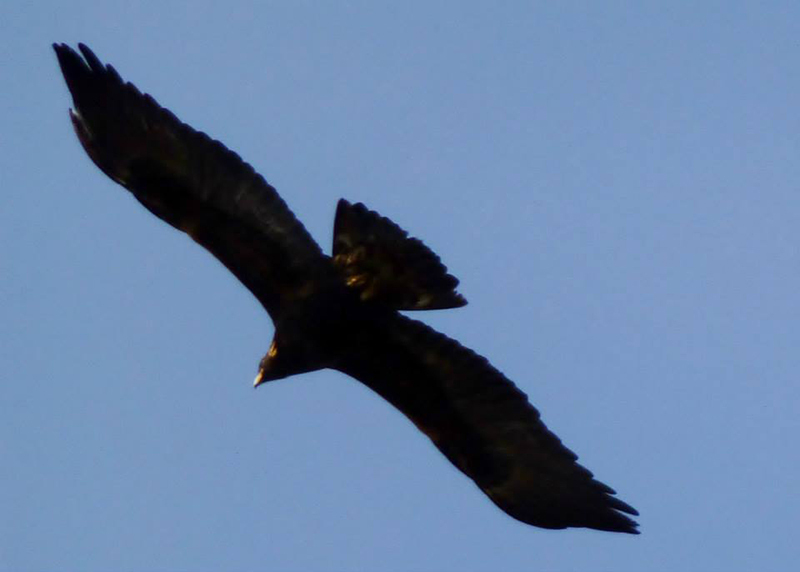 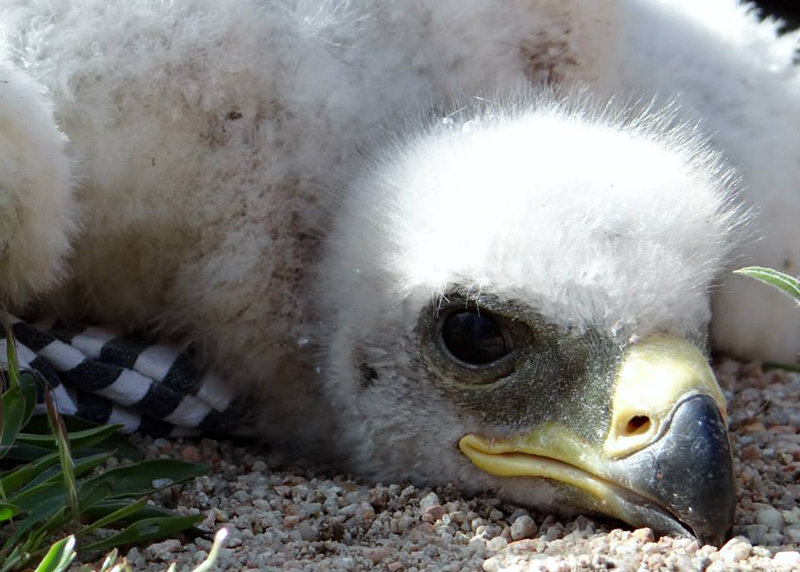 On May 18, 2014, three members of the CHC, all with expertise in other raptor worlds, met and worked with several different organizations to band a wild nestling golden eagle in the eastern edge of Highlands Ranch. 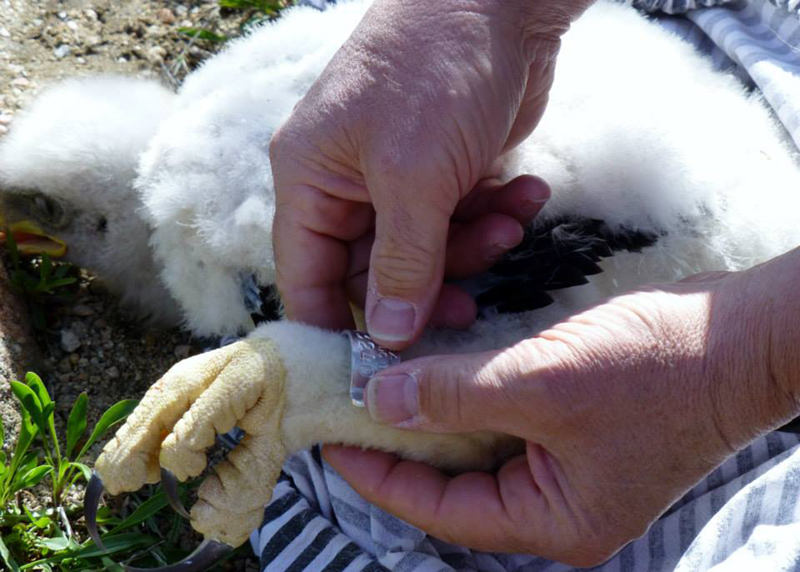 Not only was it a highly successful, multi-agency collaboration, but it also perfectly demonstrates how falconers can lend our expertise to others for research. 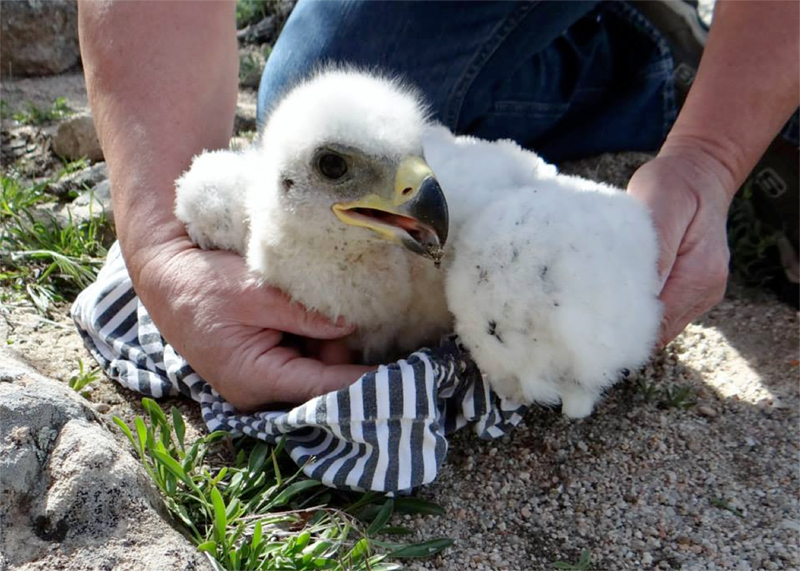 One of the CHC falconers was a federally-licensed raptor bander, and was familiar with a historic golden eagle nest on Wildcat Mountain, having worked as a firefighter and paramedic throughout the Highlands Ranch area for years. 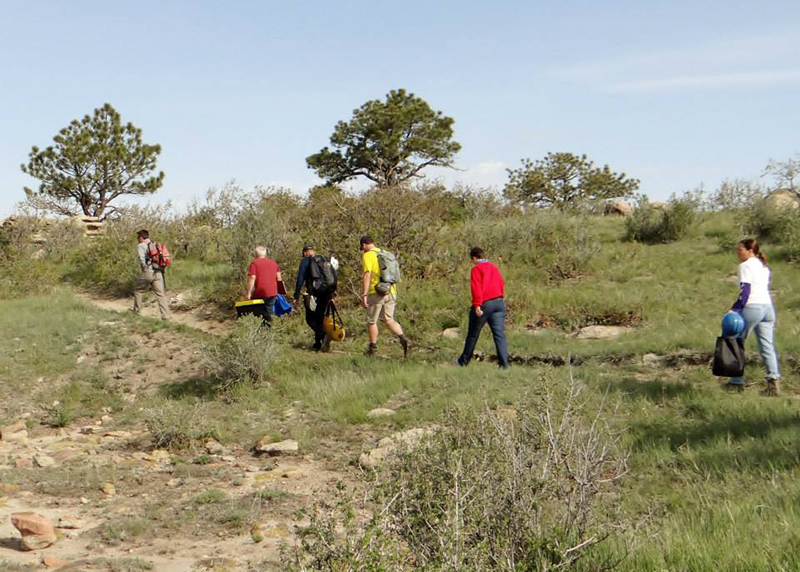 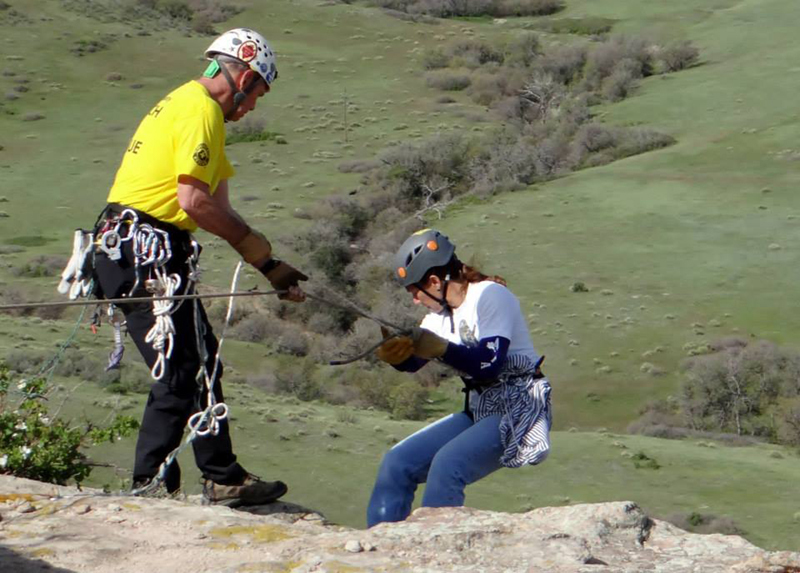 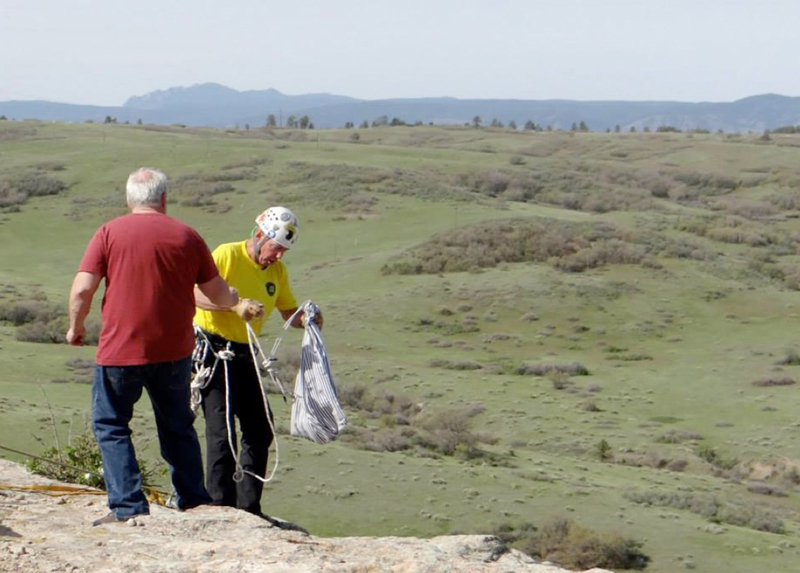 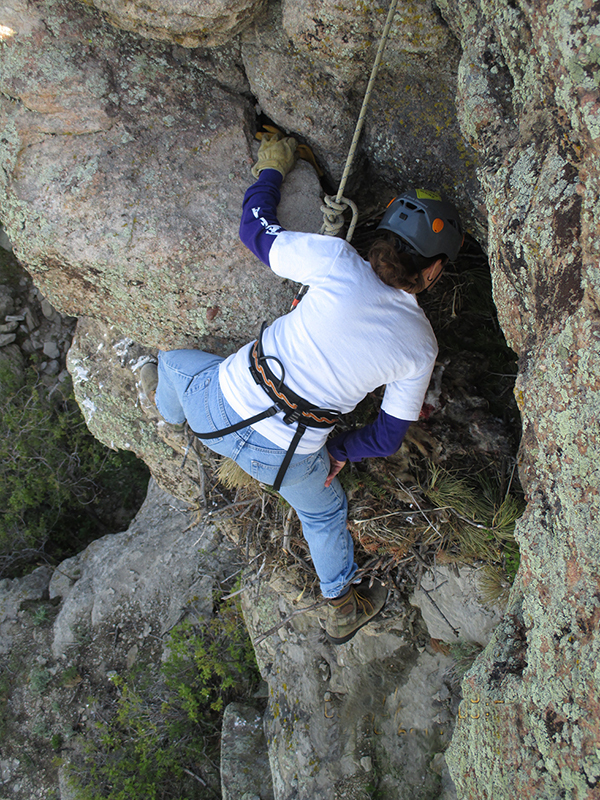 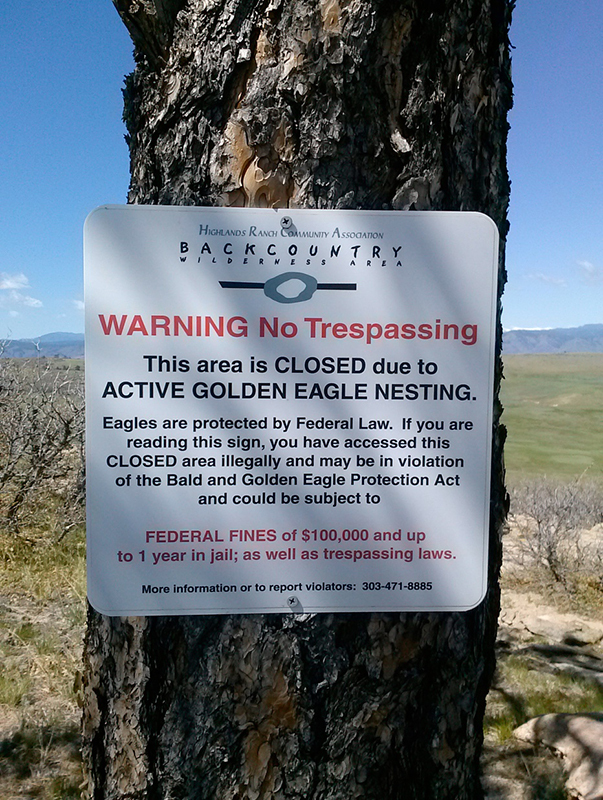 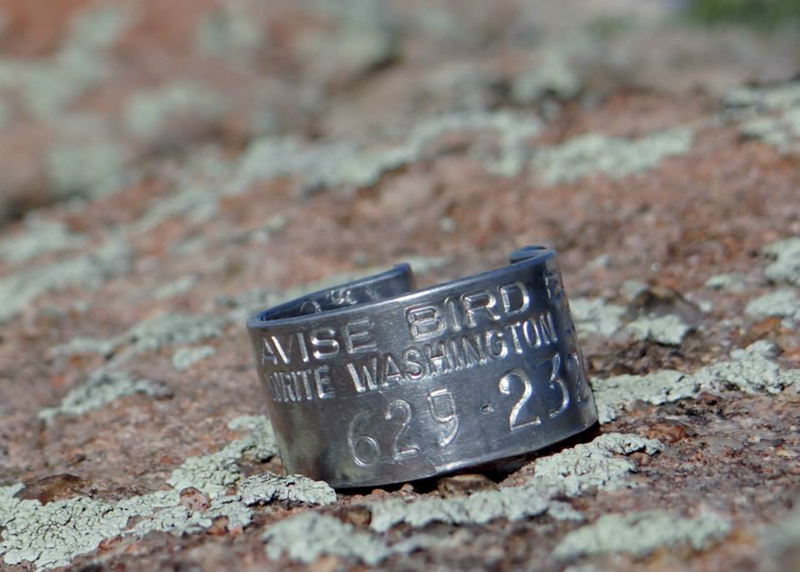 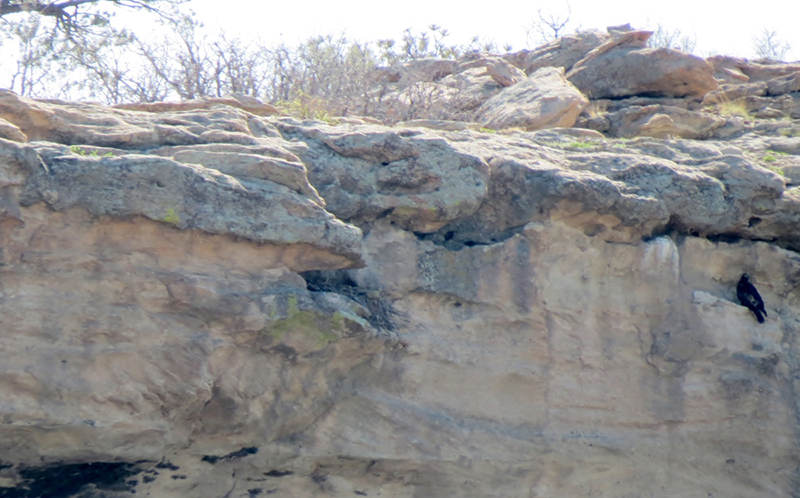 Working with the lead biologist for the Highlands Ranch Community Association Backcountry Wilderness Area, and Douglas County Search and Rescue, our members coordinated an expedition up to the cliff to band the eaglet at approximately one month of age. 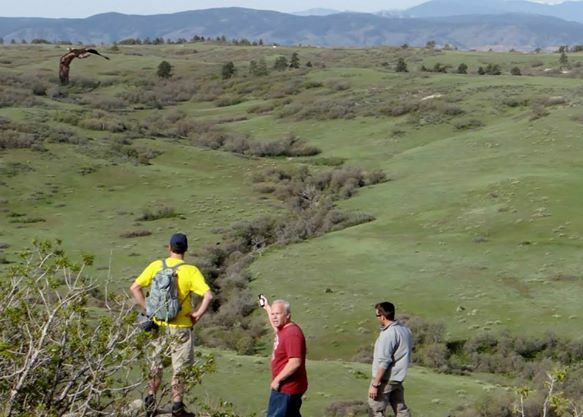 Another CHC member with eagle-handling experience repelled down the cliff to remove the baby and send her up a short distance to the crew up on top of the cliff, while a third falconer answered questions about golden eagle natural history and raptor biology for various country and city officials who had gathered to record and witness the event. 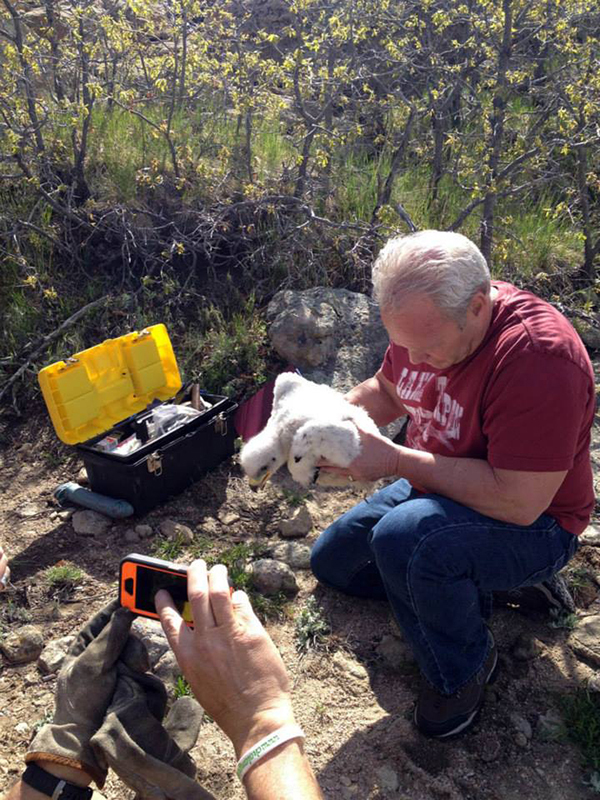 Tony examines the eaglet before preparing to band it. 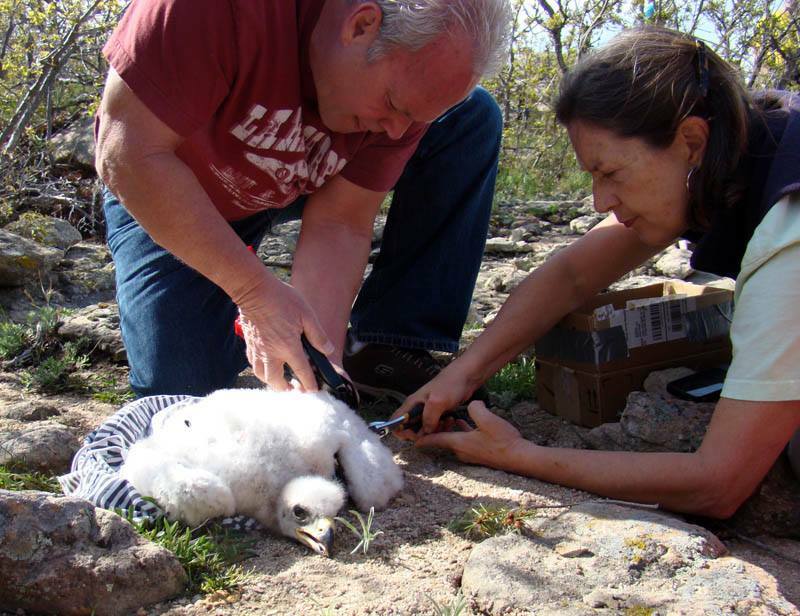 How many people does it take to band a golden eagle? 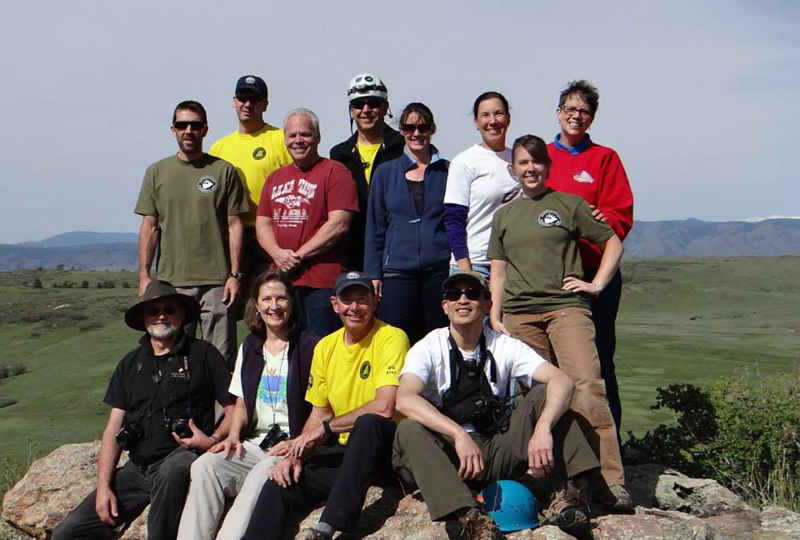 Back Row L-R: Mark Giebel, Zach (DCSR), Tony Head, Paul (DCSR), Deanna Curtis, Anne Price, Maura Bishop (HRCA), Jamie Noebel (HRCA).